Iowa 136 constitutes a 98-mile highway in an L-shaped route south from U.S. 52 at Luxemburg to Wyoming and east from there to Oxford Junction and Clinton. The state route forms a multi-state route with Illinois 136 across the Mark Morris Memorial Bridge over the Mississppi River. 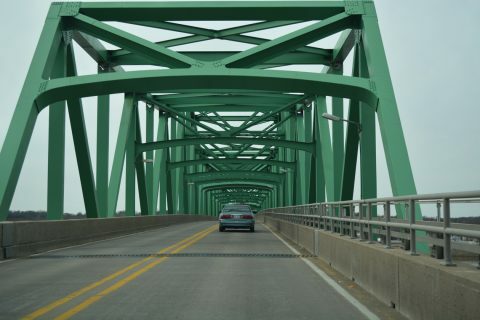 Historic Auto Trails - Mark Morris Memorial Bridge. Iowa Department of Transportation (IOWADOT).